Scholars and practitioners in the emerging interdisciplinary field known as “responsible innovation” now have a new place to publish their work. 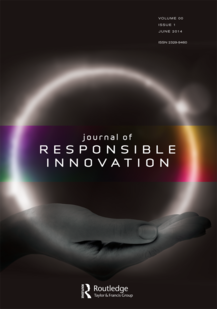 The Journal of Responsible Innovation (JRI) will offer an opportunity to articulate, strengthen and critique perspectives about the role of responsibility in the research and development process. The journal will also provide a forum for discussions of ethical, social and governance issues that arise in a society that places a great emphasis on innovation.